National Council of Young Israel: Abbas comments epitomize need to approve the Taylor Force Act. The National Council of Young Israel (NCYI) condemned Palestinian Authority (PA) chairman Mahmoud Abbas after he belittled U.S. Ambassador to Israel David Friedman, calling him the “son of a dog”. “The National Council of Young Israel strongly condemns the outrageous comments made by PA President Mahmoud Abbas against U.S. 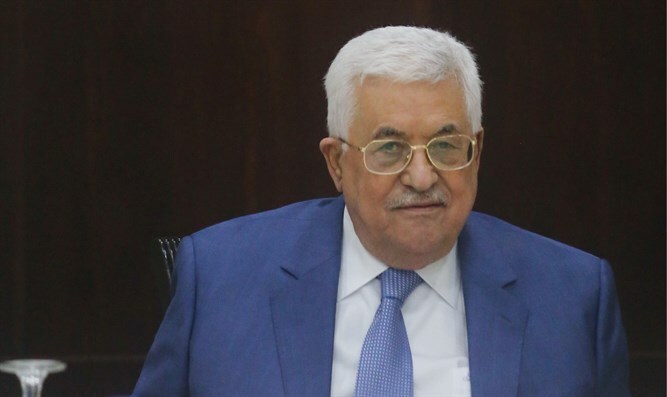 Ambassador David Friedman, which came after the Ambassador denounced Abbas’s failure to condemn several terrorist attacks that resulted in the loss of three Israeli lives,” said NCYI in a statement. “Not only did he not condemn the attacks, but under Palestinian Authority law passed under Abbas’ auspices, the terrorists and their families will financially benefit from the terrorist attacks. It is sadly unsurprising that Abbas was able to find his voice to criticize Ambassador Friedman but not the terrorists,” it added. “The National Council of Young Israel believes this response epitomizes the long overdue need for passage of the Taylor Force Act in the Senate to start reducing aid to the Palestinian Authority, as not only are they ungrateful for the aid, but they even publicly lambast the representative of the U.S. in Israel,” the statement said. In a speech in Ramallah earlier on Monday, Abbas said, "The United States legitimizes settlements. That's what American officials do, and at their head, in Tel Aviv, is David Friedman. He said, 'They're building on their own land.' The son of a dog, they're building on their own land? He himself is a settler, and his entire family are settlers." Speaking later on Monday at the Global Forum for Combating Antisemitism, Friedman responded to Abbas and said, "Three Jews were killed in cold blood by the Palestinian terrorists, and the reaction from the Palestinian Authority was deafening. No condemnation whatsoever. I pointed that out, without further adjectives, without further commentary." "Abu Mazen chose to respond. ... His response was to refer to me as the 'son of a dog.' Anti-Semitism, or political discourse? Not for me to judge. I'll leave that all up to you." Jason Greenblatt, U.S. President Donald Trump’s Special Representative for International Negotiations, also denounced Abbas on Monday night. “The time has come for President Abbas to choose between hateful rhetoric and concrete and practical efforts to improve the quality of life of his people and lead them to peace and prosperity,” he said. “Notwithstanding his inappropriate insults against Ambassador Friedman, we are committed to the Palestinian people and to the changes that must be implemented for peaceful coexistence. We are finalizing our plan for peace and we will advance it when circumstances are right,” added Greenblatt.